The data collected in the framework of the staff survey sent out by the Human Resources (HR) Department in March this year are currently being analysed. The first results concern the response rate and the breakdown of participants. 1328 staff members replied to the questionnaire, representing a response rate of close to 60%. 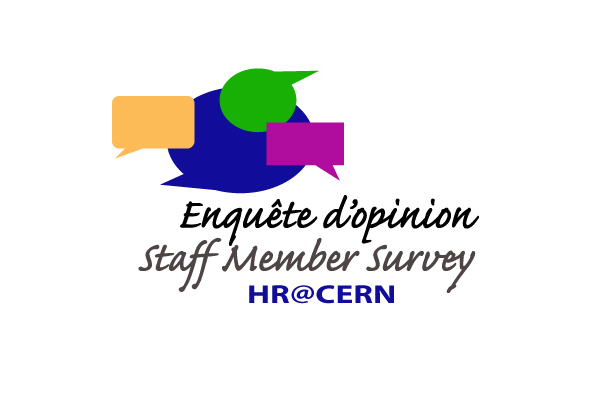 Marie-Luce Falipou, who is in charge of the project within the HR Department, is evidently satisfied with the result: "The high response rate shows that the staff appreciated HR’s efforts to sound out their opinions and felt concerned by the subjects covered in the questionnaire". All the data are now being processed by the team led by Philippe Sarnin, Director of the Social Psychology Department at the University of Lyon2. "The number of responses submitted during the 15 days the form was available on line was very satisfactory. This is a vital factor in ensuring that we are able to build up an accurate picture of the situation at CERN as it means we can assume that the results obtained are representative of the whole staff population. Before compiling the questionnaire, Philippe Sarnin and his team conducted 40 preliminary interviews to get a good idea of how things are at CERN. "CERN is clearly untypical, with its many different cultures and professions. This made the questionnaire more complex to compile but the results it’s yielded were also more interesting". HR will present the results of the survey in the autumn. For now, Philippe Sarnin is able to tell us: "The sample is extremely representative. For example, women account for around 20% of the respondents, which is remarkably close to their proportion of the CERN staff population. There is a similar pattern for contract types and career paths."